Take a vacation every time you see your screen with these free digital backgrounds for July. 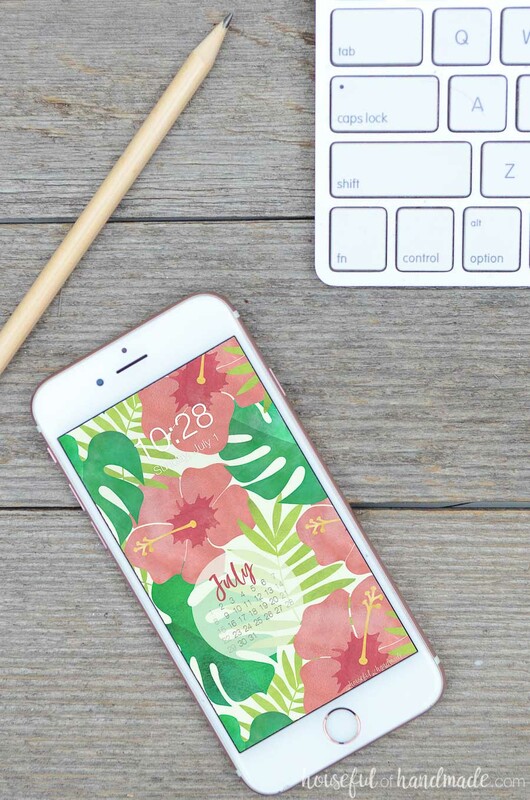 The bright colorful hibiscus and palm leaves are the perfect digital wallpaper for summer. 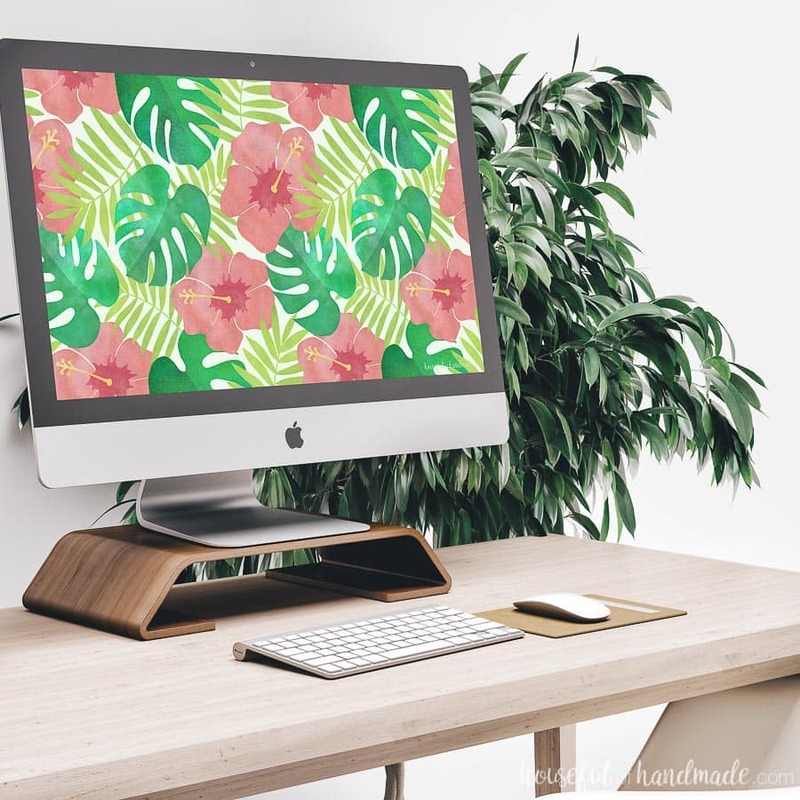 Feel like you are always on vacation with this fun tropical digital wallpaper. 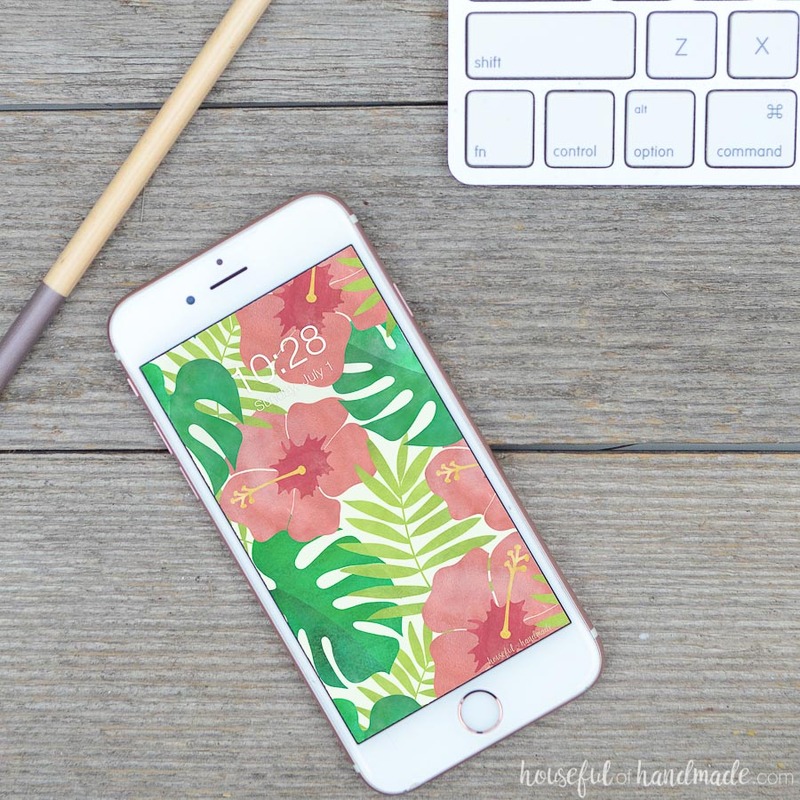 The bright colors and tropical plants are the perfect backdrop for your smartphone or computer screens. 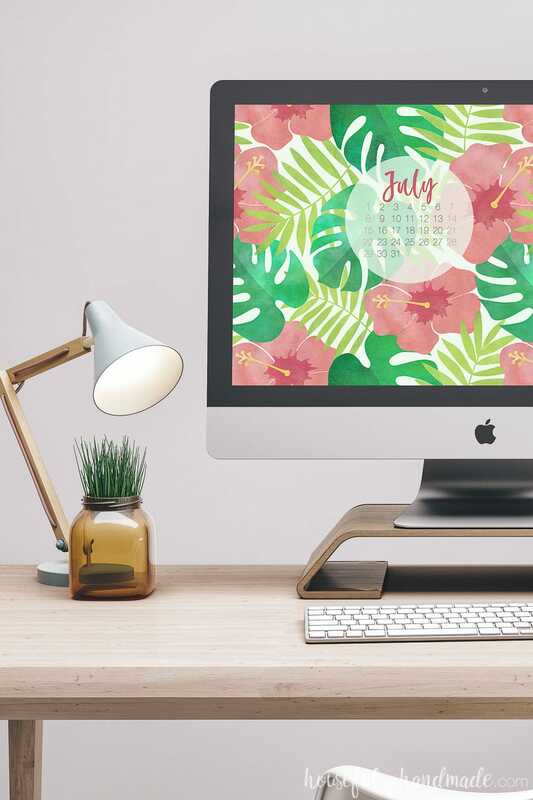 And if you are stuck working instead of relaxing on a beach this summer, there is a tropical background with a calendar to help you stay organized. Download your free digital backgrounds for July today! Now that have finally recovered from the kitchen remodel, I am starting to decorate the rest of the house for summer. And this year I am feeling tropical! While adding lots of tropical decor to the living room, I realized it was almost July (how did that happen so fast?!). So of course, for the free digital backgrounds for July, I went with another tropical design. But this time I added my favorite tropical flower: hibiscus! The bright color of the hibiscus is perfect with the tropical palm leaves. I always loved the bright colors of all the tropical flowers. Since I cannot keep any of them alive in our dry mountain air (I keep trying), these digital flowers are perfect for my laid back summer vibe. No watering required! Just lots of island style. And while I wish I was on an island enjoying the summer, I will just have to enjoy the fun tropical decor. Stay tuned for lots more ideas to bring the tropics to your home (my living room is practically an island retreat right now, if only I could figure out how to get the salty sea air smell). But for now, you can start with adding a little island love to your electronics! So if you are ready to feel like every day is a vacation (even if you are stuck working all summer), click on the link or links below to download the free digital backgrounds for July.